We all are quite familiar with the word called as digitize. We often heard this word in different kinds of contexts. Basically, the meaning of the word digitize is the data conversion from analog to digital form. We have seen many advances in this context where machinery have been modified from analog to digital form. We have got the example of watches, radios, ACS and many others. 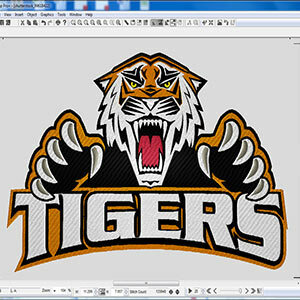 The quiet example is of embroidery that has been digitized due to the advancement in the expertise field. A few years back this process of embroidery was finished with the help of hands. Quality was there at that time but the time consumption was very large and now the factor of time has been reduced to a great level due to the process of digitization. Many people are keen on learning this technique that can be used in embroidery for making the embroidery designs on the clothes. Tutorials are available on the internet and hence quite useful information about the subject can be extracted from there. The good and basic tips or leaning the digitize–embroidery is to start with the simple and basic stitches and then start working towards the complex ones. You can choose a single color in the start and then slowly start the number of colors in the design. If you have got knowledge of sewing then you will definitely aware of the types of stitches that are used in the sewing process. Some are quite simple and straight but some are complex. In the process of digitizing stitches have to be planned and applied accordingly. The process is not only about design the thing and put it on the machine for making but instead, you have to make the complete plan for how the machine will work and how it will be producing the pattern. There are also training programs that are available for your learning and for your expertise. You can take admission in some kind of school that is offering the relevant courses. If you get employment in some kind of company and you do not have sufficient knowledge then they also offer the basic training of digitize-embroidery work before starting your work or career. The need is only to find the suitable opportunity and start polishing your skills. Once you get the perfection and efficiency in your work then there will be no bounds for you to make a good career for yourself. Therefore, as you embark to it’s your information, it is important to remember that digitized information is the best asset when preserving information and it is the weakest form when it comes to traditional archives or library responsibly because of the additional concept of originality that needs to be maintained. However, as you digitize your information, it is regrettable that some people look at this as a superior because it allows reformatting processes like microfilming and hence too it’s your information is not to preserve it since there is no guarantee of permanence and authenticity.